News - Edelholz Großhandel Hamburg Max Cropp e.K. All about hardwood - from turning wood art, knife, bow and furniture manufacture, to wood carving art. We are happy about your visit! For turning wood artists and knife manufacturers! For your creative project we received a new delivery from australia: Black Boys, Banksia Nuts, Goldfield burl and Jarrah burl slabs. Black Boy: Botanical name: Xanthorrhoea spp. They are mainly found on the westcoast of australia. The tree ist growing pretty slowly, the diameter of the trunk increases only two centimeters per year. The attributes are perfect for wood turning and carving. They are perfect for wood turning or jewelery design. Goldfield: Botanical name: Eucalyptus spp. The Jarrah tree can reach a height of 40 meters and the diameter of the trunk can reach 1.5 meters. The wood is very resistant against insects. 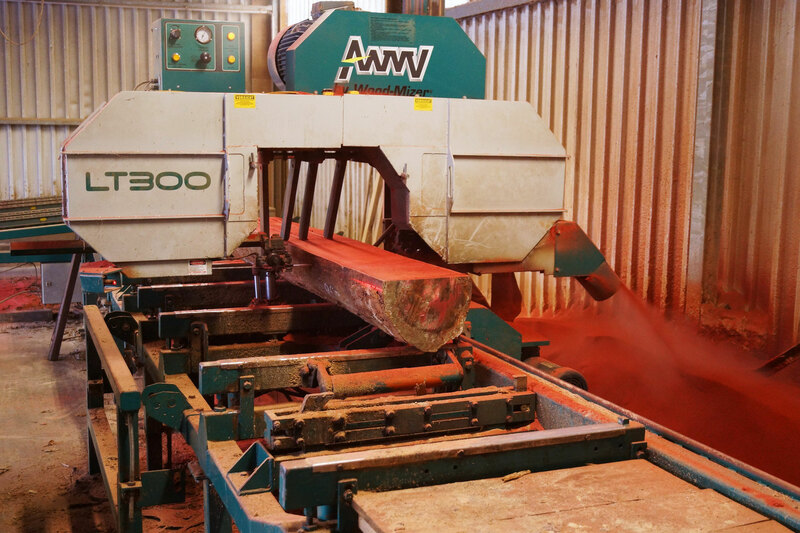 It is used in the ship-building industry, for musical instruments, for furniture and floors. After 6 months of waiting we finally received approx. 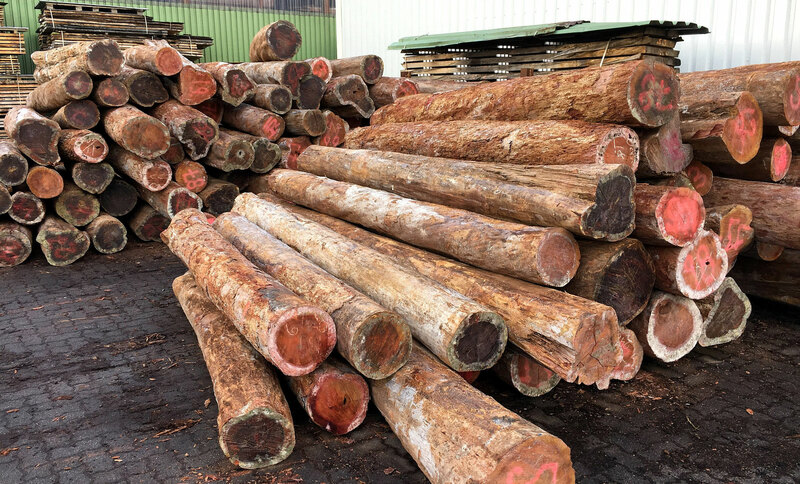 25 cubic meters Red Heart logs with diameters from 25 - 40 cm and between 1,60 and 4,00 m length. Red Heart is growing in south Mexico. 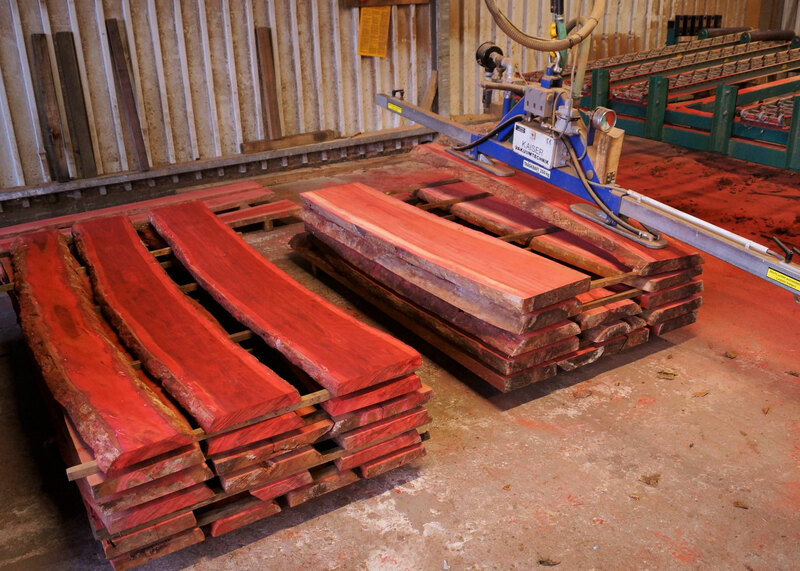 Directly after sawing the wood has a bright red color. But how most of the strong coloured timber, also Red Heart looses the colour through UV irradiation and turns into pink. There are ways to slow dowm and prevent the UV irradiation with UV blockers. Red Heart is an even grown and pretty dense wood, so it is nice to work with and surfaces can be brought out very well. Purpose: Often used as turning wood, for musical instruments, knife grips, decorative pieces and for furniture. 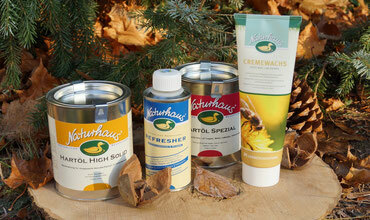 From now on you can buy high quality waxes and olis from Naturhaus at our store in Hamburg. Bring out your wood surfaces with Refresher, High Solid Oil and Special Wax. For floor, stair, tables, dining tables and furniture. X-mas Special! Product sale from 30 - 60 % off. We will open the door for you every morning at 10 am. Perfect for carpenders, furniture and home hobby projects. valid from 01.08.2018 to 01.10.2018, as long as stock is available. Turned pieces, knifes, bows, wood toys, pens and sculptures. Experts will show you a lot of tricks and grips you can use at home for your project. They will use a huge choice of different timbers. - LIVE WOOD CARVING - Students in action! Visitors are welcome to participate! Wood worm and pest expert. Dr. Noldt shows many exhibits of his collection. Forum members will come together on a large stand. New turning objects will be presented. Newcomers are welcome! Wood identification and more. Scientific supervision of the wood collections at the Thünen Institute. 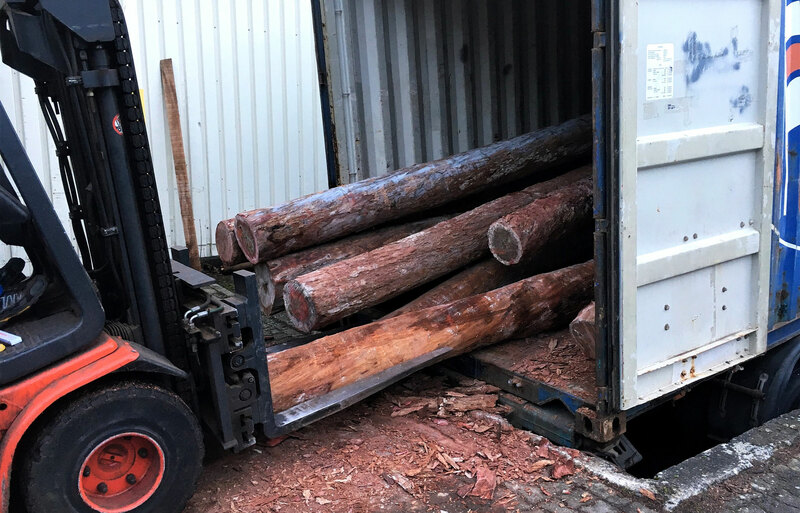 Macroscopic and microscopic determination of internationally traded woods. 3D-CAD for planning, presentation and production. The Phyta team is looking forward to interested visitors! Designer tables, dining tables, side tables. 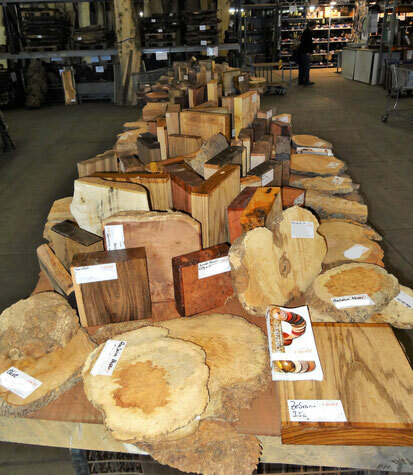 Choose between massive plates and tree slabs from slowly, straight grown trees with burl, fiddleback or rustic structures. Since 1st of November 2017 we have a new team member: Thomas Riepen is our new employer in our warehouse shop. We look forward to work with such a friendly and open new colleague. Structured - modern - clear. In our new online shop we show you our huge assortment from exotic and rare wood species. Hobby and professional wood turners, music instrument builders, carpenters, knife- and bow builders and wood lovers will find the perfect wood for any purpose.